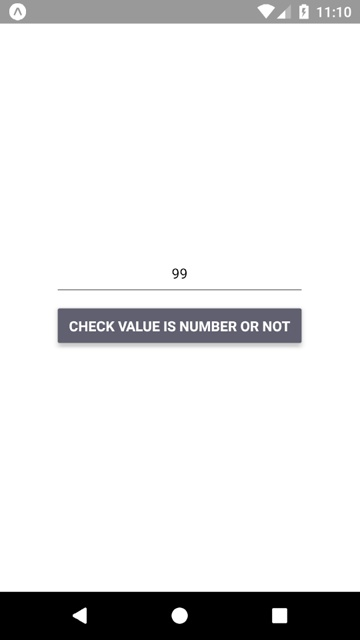 This is an Example to Check Value is a Number using isNaN() in React Native. 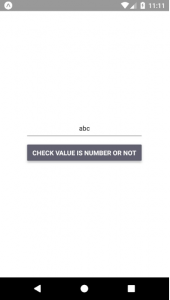 The function isNaN() is used to check the value of any variable or state is a number or not. In this example we will check input is a number or not. It can be used in if condition, as it will return the true or false condition to identify the value, is a number or not. So let’s get started. 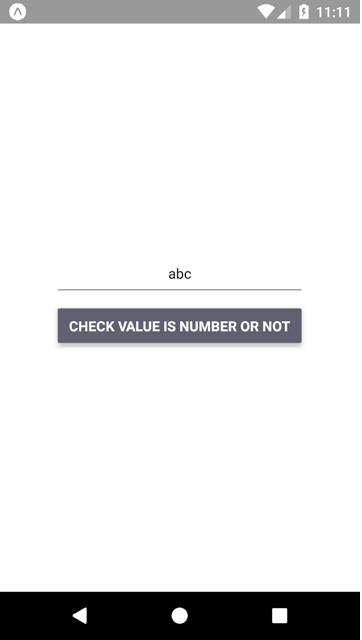 title=" Check Value Is Number Or Not "
This is how you can Check Value is a Number using isNaN() in React Native. If you have any doubt or you want to share something about the topic you can comment below or contact us here. There will be more posts coming soon. Stay tuned! 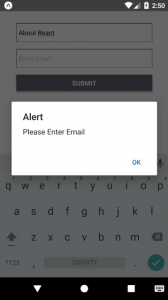 This is an Example of React Native Enable Disable TextInput Programmatically. In this Example, we will make a TextInput Enable/Disable on a click of a button. 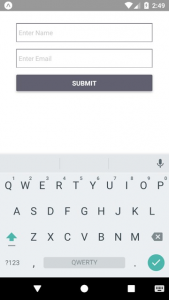 This type of task can be used while making any form which has interdependent fields like F1 needs to be filed before F2, so in that case, you can disable F2 until the user fill the field F1. We will use editable prop of the TextInput to make it Enable or Disable. So Let’s get started. 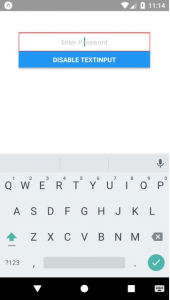 This is how you can enable or disable a TextInput. If you have any doubt or you want to share something about the topic you can comment below or contact us here. There will be more posts coming soon. Stay tuned! 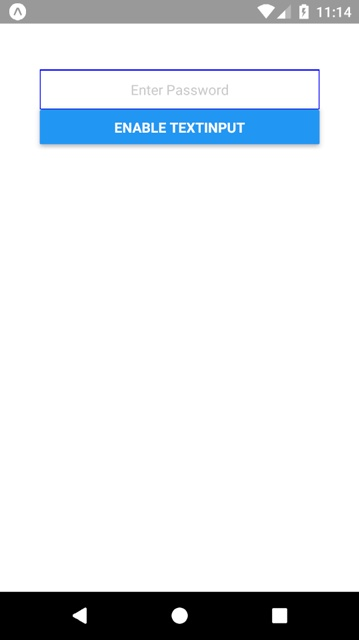 This is an Example of React Native Check TextInput is Empty or Not. As the topic name describes itself, we will check the TextInput on a click of the Button. This is very useful if you are making any form which has some mandatory fields. In this example, we will check whether both inputs filled or not. So let’s get started. This is how you can check TextInput in empty or not. If you have any doubt or you want to share something about the topic you can comment below or contact us here. There will be more posts coming soon. Stay tuned! While working with React Native TextInput we need to assist the user what to insert in TextInput. 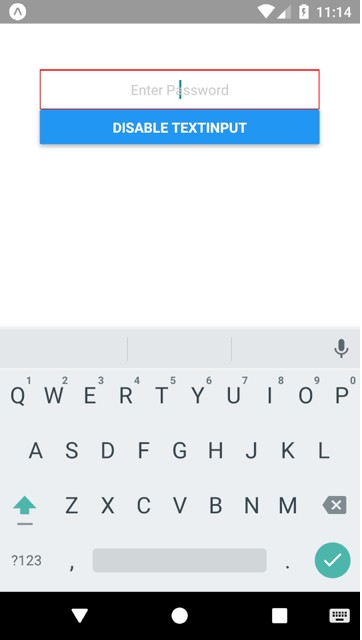 We can use React Native Text with TextInput or we can show hint inside the TextInput but we can also add some icons to show the use of TextInput. Here is the example to show Image Icon In React Native TextInput. In this example, we will make two TextInput with icons to enter the name and contact number. So let’s get started. placeholder="Enter Your Mobile No Here"
This is how you can add image icon inside the React Native TextInput. If you have any doubt or you want to share something about the topic you can comment below or contact us here. There will be more posts coming soon. Stay tuned! This is an Example to Remove TextInput Underline in React Native. While working with android you have seen an underline in android devices which is a default property for the Android. If you want to remove that you can use underlineColorAndroid prop which will decide the color of the underline in android. This is how you can remove TextInput Underline in React Native. If you have any doubt or you want to share something about the topic you can comment below or contact us here. There will be more posts coming soon. Stay tuned! This is an Example to Get Only Numeric Value From TextInput in React Native. This is used in many cases like when you have to take the mobile number of user you need the number to be inserted. 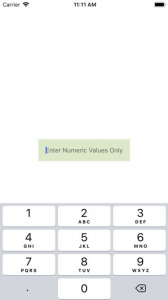 Using this will open the Numeric Keyboard when the user clicks on the TextInput. 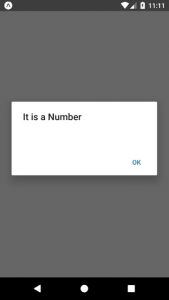 We are going to use the TextInput prop numeric to get only Numeric value. 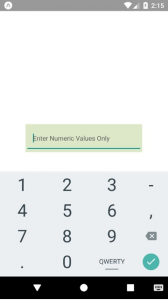 This is how you can get an only numeric value from TextInput in React Native. If you have any doubt or you want to share something about the topic you can comment below or contact us here. There will be more posts coming soon. Stay tuned! 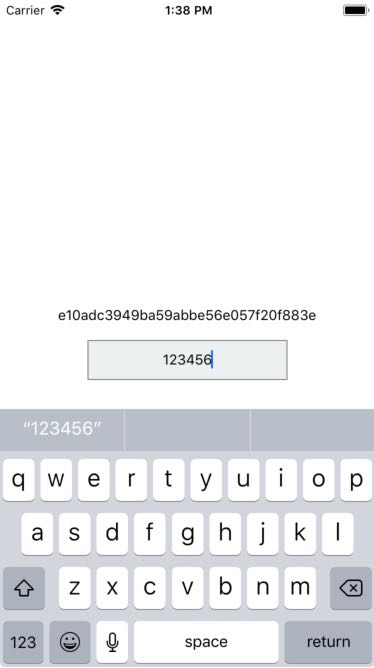 This is an Example to Convert any Input Value in MD5 in React Native. 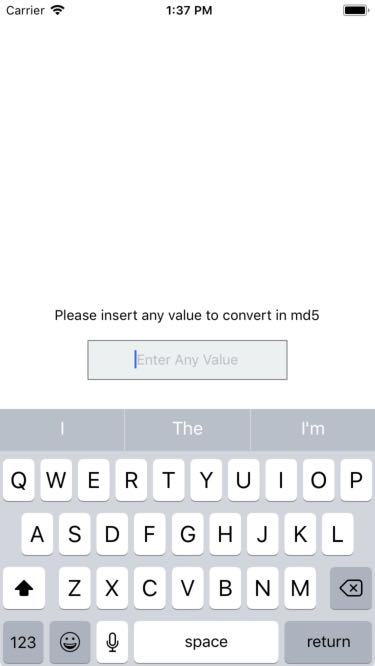 We will use the function md5() to convert our Input Text into MD5. You need this useful example while making your login and registration screen because we do not store the user’s password as it is; we first encode the password and then stores it in the database. MD5 stands for ‘Message-Digest algorithm 5’. The MD5 algorithm is used as a cryptographic hash function or a file fingerprint. It is non-reversible and very safe for password security. To use md5() we have to install md5 package. This command will copy all the dependencies into your node_module directory, You can find the directory in node_module the directory named md5. –save is optional, it is just to update the md5 dependancy in your package.json file. 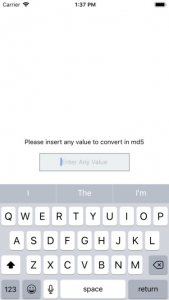 This is how you can convert any Input Value in MD5 in React Native. If you have any doubt or you want to share something about the topic you can comment below or contact us here. There will be more posts coming soon. Stay tuned! 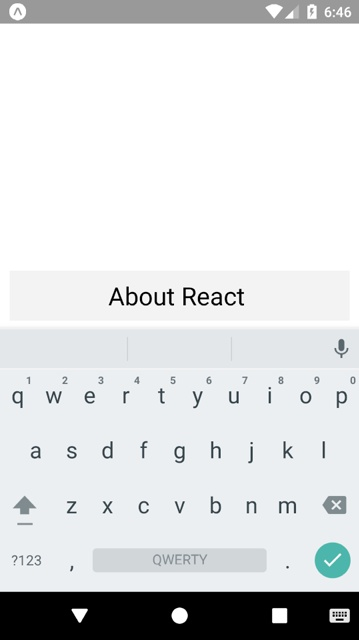 Here is an Example of Searching in List using Search Bar in React Native. In our previous example of a search bar using TextInput, we have mentioned that searching is very important if we have a long list. It provides great user experience and control over the data to the App user. The user can easily search the data he/she requires using the search bar. In this example of React Native Search Bar, we will make a search bar using a SearchBar component provided by react-native-elements. We will load the list from the network call and then show it to the user. 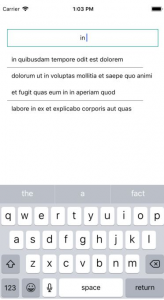 The user can search the data by entering the text in TextInput. We will compare the list data with the inserted data and will make a new data source. We will update the data source attached with the ListView. 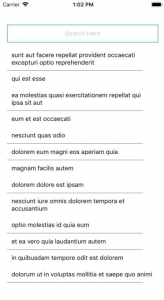 It will re-render the list and the user will be able to see the filtered data. To use SearchBar we have to install react-native-elements and react-native-vector-icons dependencies. This is how you can add a search bar to filter a list. If you have any doubt or you want to share something about the topic you can comment below or contact us here. There will be more posts coming soon. Stay tuned! 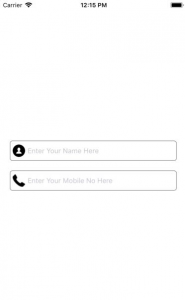 This is an example to Make Search Bar Filter for List View Data in React Native. Basically, We will make a React Native FlatList with real-time searching ability. If we have a Long list in the app then it is very inconvenient to search the required data by scrolling the whole list. Let’s take an example of E-Commerce which has the number of products and we have to choose our required product. You can imagine how tough it will be to search for a product by scrolling. So at this point, we need a Search Bar Filter on Listview so that we can easily search the required data and can save time. In this Example of React Native Search Bar Filter on Listview, we are going to use a FlatList with a TextInput to work as the search bar. We will update the data source attached to the ListView. 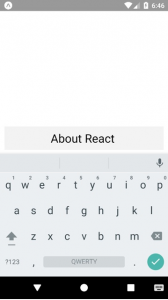 This is how you can make a Search bar filter on List View in React Native. If you have any doubt or you want to share something about the topic you can comment below or contact us here. There will be more posts coming soon. Stay tuned!